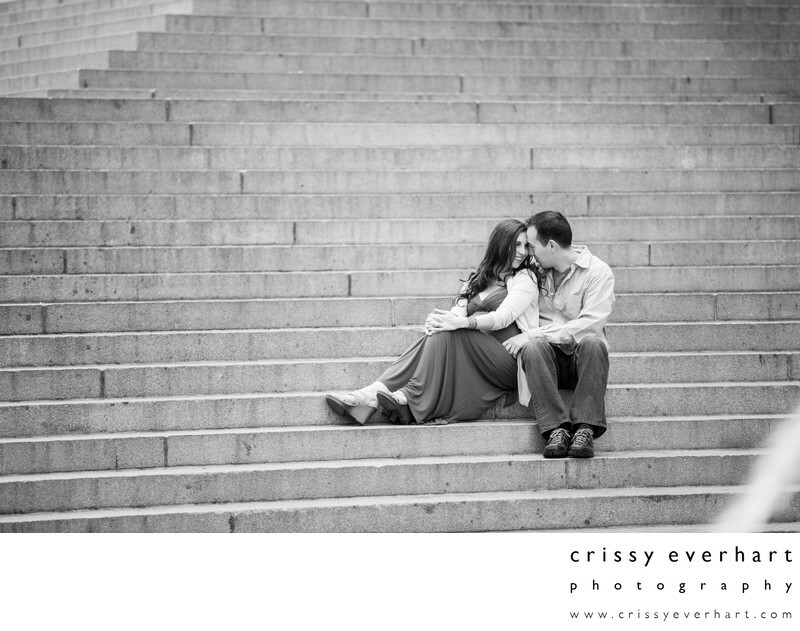 This pregnant couple snuggles on the steps of the Metropolitan Museum of Art in New York City on a chilly spring day. The seemingly endless steps create a perfect background for this black and white pregnancy photo. Location: 1000 5th Ave, New York, NY 10028.